"Savchenko says she is in Strasbourg but the PACE delegation is in Paris… And her photos look like Brussels." MP Nadiya Savchenko's whereabouts have raised brows in Ukraine. "I think that MP Nadiya Savchenko does not fully comprehend where she is. She says she is in Strasbourg. 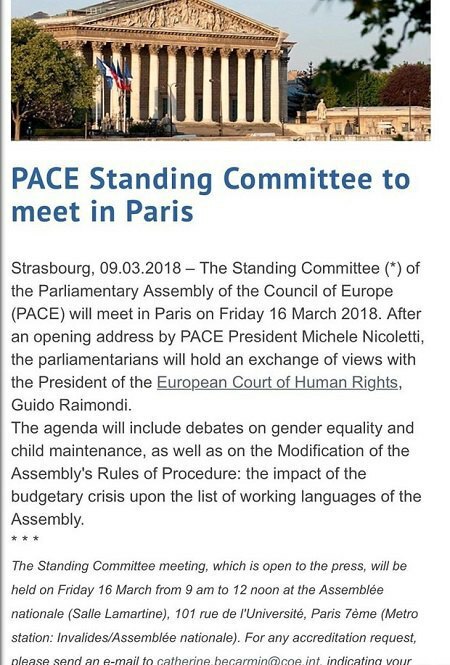 But our delegation to the PACE is in Paris now. And the photos posted by Savchenko look like Brussels," the head of the parliamentary committee for information policy, Viktoriya Syumar, said, according to an LB.ua correspondent. According to the European Parliament's official schedule, a regular session is currently underway in Brussels. A Ukrainian MP can be invited by any colleague from the European Parliament to attend the session. 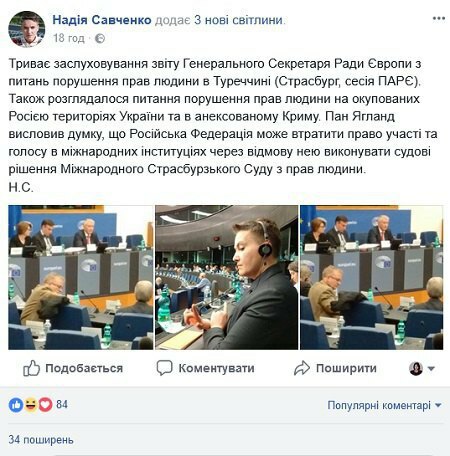 Savchenko said on Facebook that she was "in Strasbourg, at the PACE session". In the meantime, the Ukrainian delegation to the PACE continues its visit to Paris. "Savchenko either does not understand the difference between sessions of the European Parliament and of the PACE, or lies about her whereabouts," People's Front MP Yuriy Bereza said. Today, Savchenko published on Facebook a letter to the head of the Security Service of Ukraine (SBU), Vasyl Hrytsak. It says that from 12 to 16 March she is on a "planned working visit to the European Parliament in Strasbourg where EU parliamentary sessions are underway". She said that she had officially notified the parliament office. The SBU summoned Savchenko for questioning in ex-negotiator Volodymyr Ruban's case on 13 March.